Results from a Phase II clinical trial of the efficacy of IMBRUVICA® (ibrutinib) as an anti-tumor agent for patients with relapsed or relapsed/refractory multiple myeloma (MM), were presented during the 56th American Society of Hematology (ASH) Annual Meeting. IMBRUVICA® is an FDA approved agent industrialized by Pharmacyclics and Janssen Biotech Inc, and works as an inhibitor of the Bruton’s tyrosine kinase (BTK) protein, a key signaling molecule for the B-cell receptor that plays an important role in the survival and spread of malignant B cells. By inhibiting BTK, IMBRUVICA blocks signals that tell malignant B cells to proliferate uncontrollably, a phenomenon involved in the spread of different types of blood cancers. 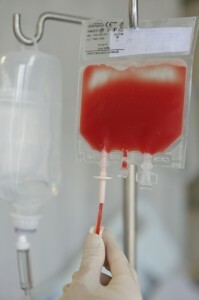 At the moment IMBRUVICA is approved for the treatment of patients with chronic lymphocytic leukemia, mantle cell lymphoma, and is being studied as a single agent or in combination with other treaments as a therapy for small lymphocytic lymphoma (SLL), Waldenstrom’s macroglobulinemia (WM), diffuse large B-cell lymphoma (DLBCL), follicular lymphoma (FL), marginal zone lymphoma (MZL), multiple myeloma (MM) and other B-cell malignancies. Multiple Myeloma, is a cancer in the white blood cells (lumphocyte) that arises from B-cells. In this trial IMBRUVICA was found to demonstrate anti-tumor activity both alone (840mg daily) and in combination therapy (dexamethasone 40mg) in 69 heavily pre-treated patients with relapsed or relapsed/refractory multiple myeloma (MM). In a recent press release Thorsten Graef, M.D., Ph.D., Vice President, Clinical Science, Pharmacyclics commmented, “We are very encouraged by the data suggesting anti-tumor activity of IMBRUVICA in multiple myeloma, considering the benefit we have seen in patients with this difficult-to-treat B-cell malignancy. We are committed to investigating and understanding the potential clinical utility of IMBRUVICA in other malignancies and among patients in need of safe and effective treatment options”. Measured at 4-weeks intervals, efficacy response was assessed with the International Myeloma Working Group (IMWG) criteria and safety was evaluated with the Common Terminology Criteria for AEs (CTCAE). Results revealed that IMBRUVICA in combination with dexamethasone resulted in highest clinical benefit (25%) including one partial response (PR) and four minor responses (MR). The combined treatment led to disease stabilization (SD; >4 cycles) and a median progression-free survival (PFS) of 5.6 months. Based on these results, IMBRUVICA is also being evaluated as a combination agent to treat relapsed/refractory multiple myeloma with other compounds including as carfilzomib. In the press release Ravi Vij, M.D., MBBS, Associate Professor of Medicine in the Division of Oncology at Washington University School of Medicine in St. Louis, added “IMBRUVICA has shown its effectiveness in other difficult-to-treat blood cancers, so the results of this dose escalation trial in multiple myeloma patients with relapsed/refractory disease is promising,”.